“Vesko Eschkenazy is a brilliant violinist”, heads De Telegraaf in 2000, the largest daily in The Netherlands, after his interpretation of the First Violin Concerto by Szymanovski with the Royal Concertgebouw Orchestra in Amsterdam. Other memorable performances were that of Mozart’s Violin Concerto in A major under Mariss Jansons, the Dvorak Violin Concerto under Sir Colin Davis, the Barber Violin Concerto under Jaap van Zweden and the Bruch G minor Concerto under Ankush Kumar Bahl (replacing Kurt Masur), all with the Royal Concertgebouw Orchestra. Eschkenazy has been its concertmaster since 1999. 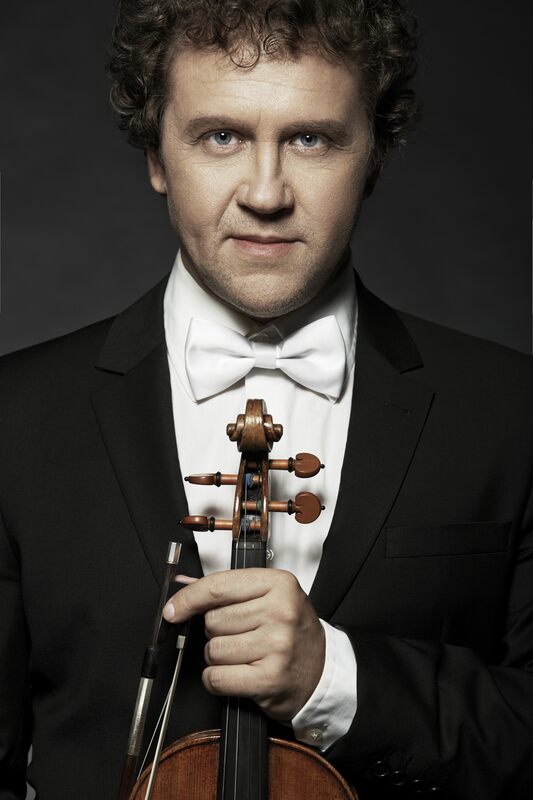 Apart from the Royal Concertgebouw Orchestra, Vesko Eschkenazy has performed as soloist with many other renowned orchestras, such as the London Philharmonic Orchestra and the English Chamber Orchestra, to name a few. He has taken part in concerts alongside Montserrat Caballé, Placido Domingo, Alexis Weissenberg, Yuri Bashmet, and Mstislav Rostropovich and has played under the direction of Mariss Jansons, Bernard Haitink, Riccardo Chailly, Kurt Masur, Sir Colin Davis, Carlo-Maria Giulini, Seiji Ozawa and Emil Tchakarov. A laureate of prestigious international competitions, such as “Wieniawski”, “China” and “Carl Flesch”, Vesko Eschkenazy performs extensively around the world. He has been awarded Musician of the Year 2010 by the Bulgarian National Radio. His recording with the Concertgebouw Chamber Orchestra of concertos by Mozart, Mendelssohn and Schubert (for Pentatone) received the highest appraisal of the critics. A recording of Bach Concertos will be released in November 2012. Vesko Eschkenazy is renowned for his versatilty. His interpretations of Bach, Mozart and Dvorák are just as beloved as his Szymanowski, Barber, Khatchaturian, Gershwin and Piazolla (watch the videos!). Please read the full biography for more information.